TEMPE, Ariz., April 15, 2019 /PRNewswire/ -- Adair Homes, Inc., a leading on-your-lot builder that specializes in affordable custom homes in the Pacific Northwest, is excited to announce the launch of its second location in the Arizona market with the opening of its office in Tempe. Building upon its Phoenix office launch in February, Adair continues to target Arizona's prospective homebuyers who would like to build a custom home without paying custom home pricing. Adair offers Arizona homebuyers more freedom than its competitors. Unlike most other homebuilders, Adair does not require buyers to move into existing developments and choose from limited customizations. Its unique homebuilding process ensures that its homebuyers have access to a multitude of customizable options and receive tremendous value for every dollar they spend, making their new custom home a wise financial investment. By mixing together innovative designs, personal touch, and materials that matter, many Adair homeowners discover a tremendous opportunity for move-in equity. "Our unique homebuilding process addresses a need in Arizona that is currently underserved," said Matt Whitehead, Adair's regional manager for Arizona. "Adair is one of the few homebuilders in Arizona that allow the homeowner to build on their own lot. By owning the land development process, the homeowner is able to gain significant equity—in some cases up to 20 percent—by the time they move in." The builder's new Tempe office boasts a nearly 1,600-square-foot design center full of custom options selected by an interior designer and offers a full array of custom floor plans to fit the needs of Arizona's homebuyers. Aiming to make its move into the Arizona consumer real estate market a seamless one, Adair has relocated a few members of its expert staff from the Pacific Northwest, while tapping into resident experts, such as construction and homeownership specialists, to join the teams in both the Phoenix and Tempe offices. "Moving into Arizona's real estate market is a very special milestone for our company," said Adair's CEO, Byron Van Kley. "Adair has deep roots in Arizona—many of our employees have lived there, have family connections to the area, and/or currently own a home in the state. We have also carefully selected key staff members for our Arizona offices who are long-term residents and are intimately familiar with the state's housing market." One of these residents is Adair Arizona's Regional Construction Manager, Scott Glenn, who played a big role in the construction of both the Phoenix and Tempe offices. "I'm thrilled to be part of a company that is passionate about its home offerings and makes a special effort to ensure that each one of its homebuyers feels comfortable with the building process and is more than happy with the result," he said. "Adair's focus on customer equity and partnership building is unlike any other I have seen in Arizona." Other key staff members include PreConstruction Administrator, Lori Thomas, who is also native to the area, as well as Home Ownership Counselor, Tori Myers. April 17th, 6:00-7:30 p.m.—Building 101: Navigating the Path to Custom—Tour the showroom, meet Adair's experts, and learn more about how building a custom home is within reach. For additional details about this upcoming event, please visit the event link or sign up to receive updates in your area at https://info.adairhomes.com/event-signup . Adair's Tempe office is located at 8425 S. Emerald Dr., Suite 105, Tempe, AZ 85284. Anyone is welcome to stop by the design center, make an appointment, or attend the event listed above. Another office in Tucson is slated to open in the coming months. For more information on building an affordable custom home in Arizona, please contact Adair via live chat , email , or by calling 602-562-2709. About Adair Homes, Inc. Adair Homes is a premier homebuilder in Arizona and the Pacific Northwest. The company was founded in 1969 in Oregon and takes pride in offering better homes for less. 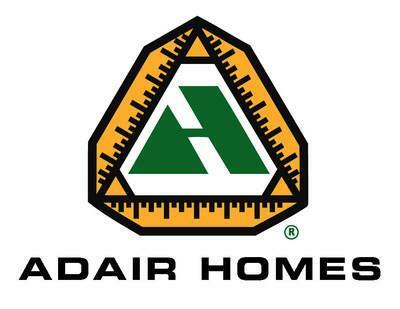 Adair continues to invest in its business by providing new home plans for customers. For more information, visit adairhomes.com .